Registration and vendor exhibits begin at 7:30 a.m. 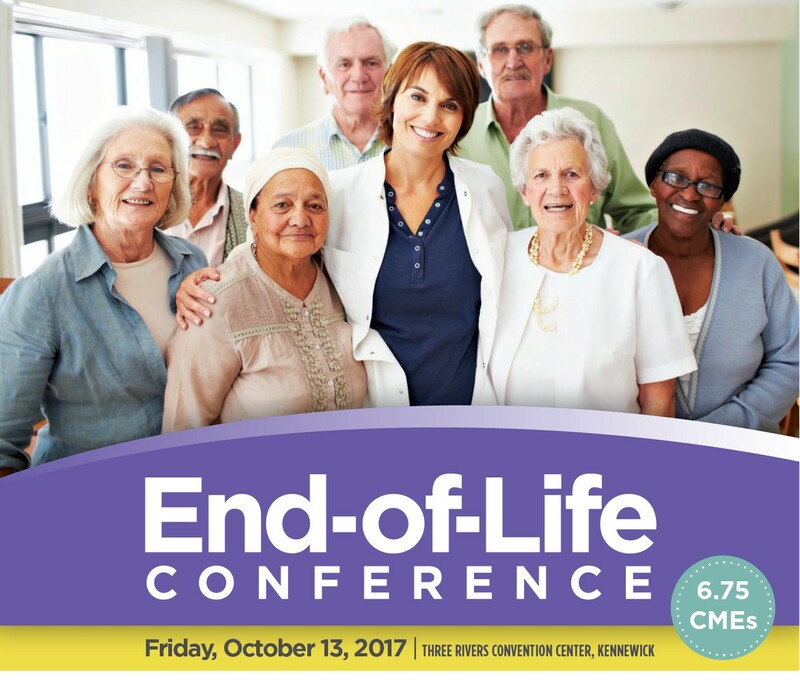 Participants will gain greater understanding of the complex issues in providing palliative and end-of-life care. Focus will be on terminally ill, aged, Alzheimer’s and pediatric populations. Topics will include communication techniques, quality of life management and grief care. This activity has been planned and implemented in accordance with the accreditation requirements of the Washington State Medical Association through the joint providership of Benton Franklin County Medical Society (BFCMS) and Chaplaincy Health Care. The BFCMS is accredited by the WSMA to provide continuing medical education for physicians and nursing. The BFCMS designates this conference activity for a maximum of 6.75 AMA PRA Category 1 Credit(s)™. Physicians and nursing should claim only the credit commensurate with the extent of their participation in the activity. This activity meets the criteria for up to 6.75 hours of Category I CME credit to satisfy the relicensure requirements of the Washington State Medical Quality Assurance Commission. Application has been submitted for 6.75 hours of CEUs to the Washington Chapter, National Association of Social Workers (NASW) for Licensed Social Workers, Licensed Marriage & Family Therapists and Licensed Mental Health Counselors. Fee is $75. Deadline: October 4, 2017. Registrations will be accepted at 7:30 am the morning of the conference. No refunds for cancellations after October 4 or “no-shows”. No shared registrations accepted. Substitute attendees are always welcome. Please notify Jannette Weber at jannettew@chaplaincyhealthcare.org if a substitute plans to attend in your place. Presentation handouts will not be provided. Conference materials and presentation slides available online October 6, 2017. Click Here.